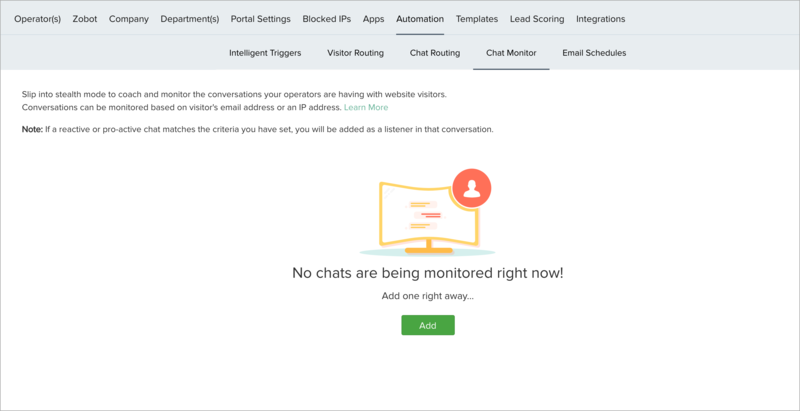 What is a Chat Monitor? 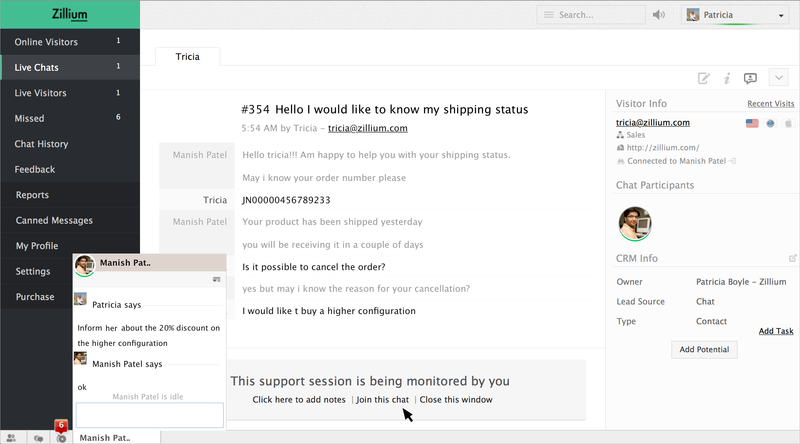 Chat Monitor allows you to oversee the chat conversation between the agent and the visitor. Using which you can supervise and coach your agents, and you can also specify the type of chat conversation which you would like to monitor. Operator Name : If you want to monitor all the conversation of a specific agent with the visitor, then select the Operator Name from the drop-down that is populated with the list of available operators. 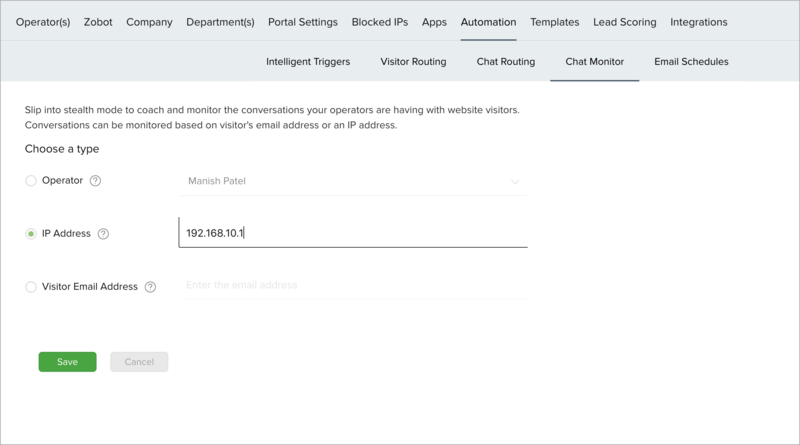 IP Address : If you want to monitor the chats originated from a specific IP address then choose the IP Address option and enter the specific IP you would like to monitor in the text box. 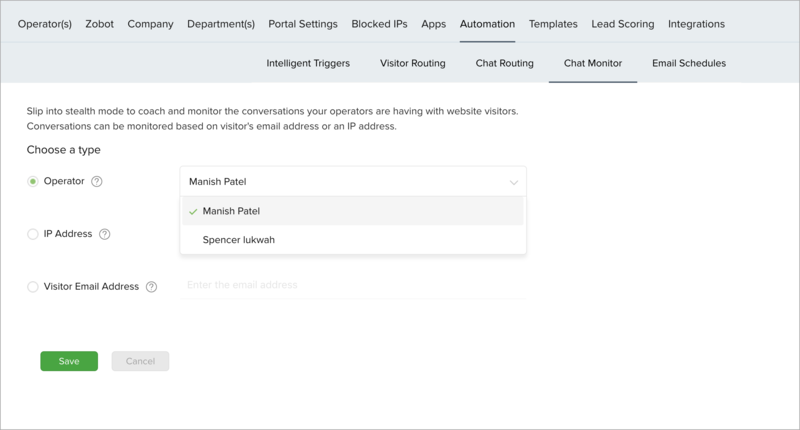 Visitor Email : If you want to monitor a chat conversation of a visitor from a specific Email ID irrespective of any agent he converses with, then choose the Visitor Email Address option and enter the Email address of the visitor in the text box. 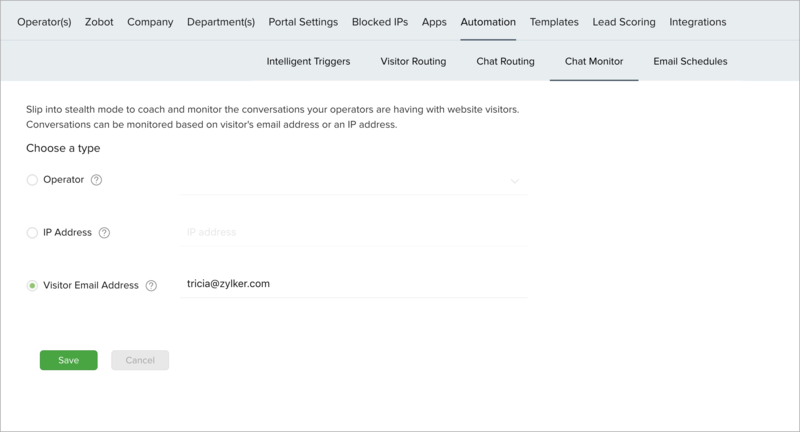 In Settings, select the Automation section and click on the Chat Monitor tab. 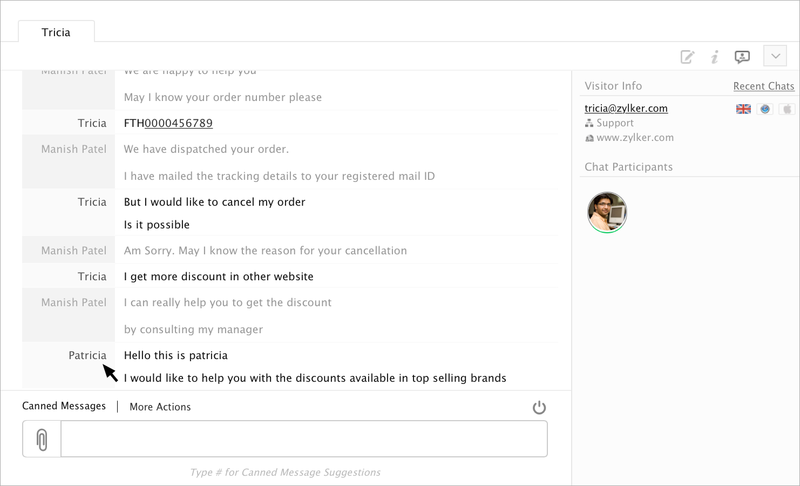 Now click on the Add button to set-up a new chat monitor. In the Choose a Type, select a type you would like to monitor. Click on the Save button to register changes. You can view the added chat monitors listed in the Chat Monitor section. After adding the chat monitor, if the chosen agent chats with the visitor then you will be able to oversee the conversation of the agent in the monitoring mode. You can also suggest him ideas through the internal chat. If required, you can also click on "Join this chat" and join the conversation. To delete a chat monitor, click on the Delete button under the Actions section.